Owerri, the capital of Imo State is generally known for comfort and relaxation. The serene nature of the place has made it a constant place of visit by tourists and other fun seekers. But the city’s splendours will never be complete without adding its various food delicacies such as Ofe Owerri, Ugba, Isi Ewu, Nkwobi and Ofe Ugba. Nice as these varieties of food the area is known for may appear, yet there is one food that is regarded as a taboo, despite how tasty it might be after preparation. That food is “Ona” better known as the bitter yam (dioscorea dumetorum) which belongs to the genus dioscorea and family dioscoreacae. Yoruba call it Esuru while the Hausa call it Kosangoro. This is yam specie of choice in the Igala speaking part of Kogi State. Although, many Igbo speaking areas of the south eastern Nigeria regard it as food for the adult; in other areas, it could serve as food of choice for the diabetic patients and as herbal therapy for various ailments. Bitter yam is rich in phytonutrients, including proteins, yet it remains an underutilized tropical tuber. When taken traditionally as for food, the tuber is soaked for couple of days in salt water and boiled overnight. This necessary step reduces the toxicity associated with this root crop when consumed. Despite the inconveniences associated with its preparation for consumption, those who prepare it really do not have a choice as it was part of what their ancestors bequeathed to them in the belief that the yam specie stretches the life span of human beings. ‘Ona’ yam is also believed to cure some ailments such as diabetes, rheumatoid arthritis, stomach pain, menstrual disorders, and schistosomiasis. Regardless of its nutritive values, some parts of the south east states, especially Owerri, regard it as a taboo. Curiously, it is believed in Owerri that calamities befall whoever eats this specie of yam. Mr Martins Okoronkwo, an Owerri indigene believes the Ona yam dates back to the history of his people. 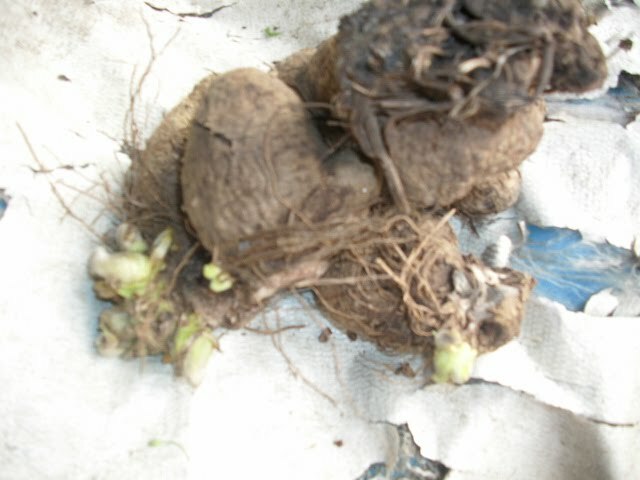 According to him, Ona is one of the plants used to appease the gods when there was famine and drought in the ancient times, hence, it was considered sacred to eat the yam “for me and my household, we can’t eat Ona, it is a taboo, I was told whoever eats the yam is afflicted with strange ailments”. Another indigene of Owerri, Ichie Godwin Ahunaihun, 75, from Umuguma in Owerri West Council Area described bitter yam as a bad omen. “The tradition has been followed by our forefathers; my children have also grown to respect it”, he said. However, Chidiebere from Ogwa said that he does not believe in the age long tradition accorded the yam specie: “For me, Ona is good; I enjoy it mostly with red palm oil”. Daily Sun also visited the traditional Prime Minister of Avu, Nze Aloy Ibekwe; who shed more light on the reasons why Owerri people classified the yam specie as a forbidden food. He explained that “Long ago; a man harvested ‘ona’ yam that was overdue for three years, he took it home and ate it with his household and everybody died, then the paramount ruler discovering that the yam was allegedly responsible for their death, decreed that nobody shall eat a (bitter yam) again”. Since then, according to Ibekwe, it has been forbidden for Owerri people to eat the bitter yam. Narrating his own experience, another native, Chief James Asiegbu from Ndegwu also told of how he had gone to a function someday with his kinsmen and their host unknowingly served them food with a pot that was initially used to cook ona; “after eating the food from the pot, we all started having a running nose”. In the midst of this superstition, none of the respondent could attest to any recent death attributed to the consumption of bitter yam. Nonetheless, it merely authenticates the popular saying that one man’s meat is another’s poison. So, not even modernity could in the near future divorce Owerri people and the myth surrounding ona (bitter yam).